INFORMACJE O ALERGENACH: Contains Milk.,May contain allergens handled in the production facilities, such as cereals containing gluten, milk, lactose, soy, nuts, sulphites, peanuts or sesame seeds. 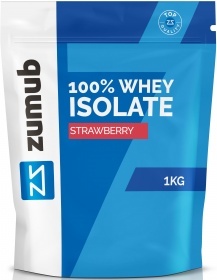 OSTRZEŻENIA 100% Whey Isolate : Do not exceed recommended dosage. Keep out of reach of children. This product should not be used as a substitute for a varied and balanced diet & healthy lifestyle. This product should not be used in case of hypersensitivity or allergy to any of its constituents. Contains sweeteners. Store in a cool, dry place. Please Recycle. BEST BEFORE: Please see lot number and expiration date stamped on the packaging.